During the design process, these aims have been revised and tweaked as follows. 1. To plan balanced and health-giving foods for myself and my family. 3. To continue expanding my knowledge of health and to set myself regular challenges. Ideas for designs I could use to fulfil these aims. First I looked at a few ideas from other sources for meal planning. 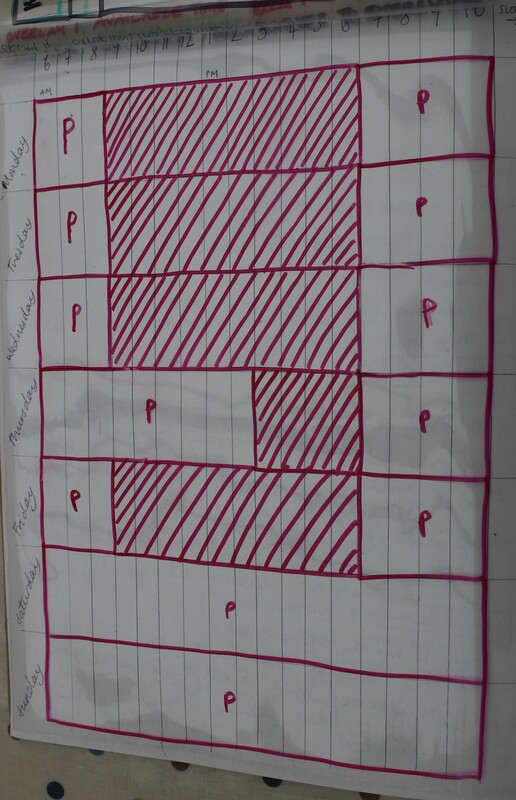 Then I tried out a number of my own ideas and analysed them using PNI. Post-it notes on a piece of card. Positive – I used this for about 6 weeks. 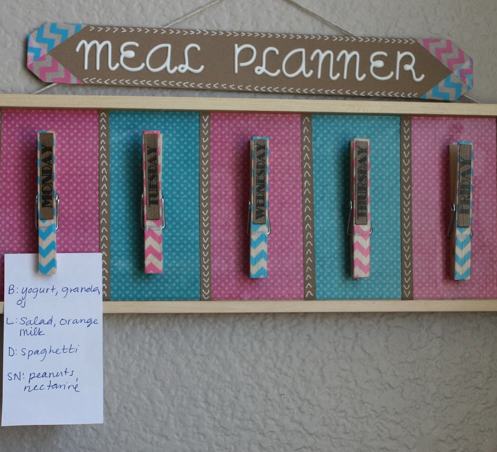 it worked really well because you can keep the post-it notes week after week and re-use them. Negative – The post-it notes fall off and get muddled up. I needed to make more space for the ‘ideas’ section or create a place to store meal ideas not being used that week. I also found it unnecessary to plan breakfasts. 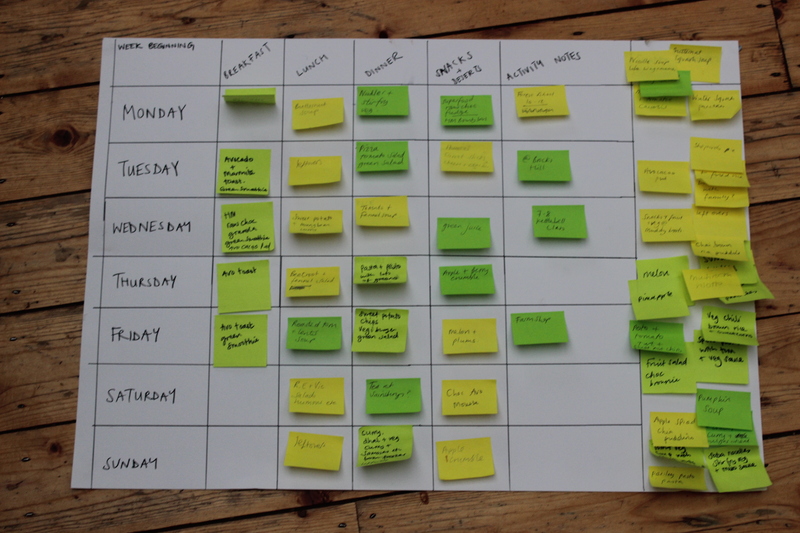 Interesting – It is easy to juggle the meals around and it is a flexible way of planning. Incorporating it into my existing weekly planner blackboard. Positive – This works well as it is easy to see at a glance just what else is happening that day and so how much time I will have for preparations. Interesting – I tried allocating each day of the week a theme for example monday-soup, Tuesday, potatoes, Wednesday, rice etc. This really helped with planning and thinking up ideas. It was great to have a space for a shopping list next to the board, so as I planned I could update my shopping list accordingly and make sure we had the correct ingredients. 2. To fit exercise and me-time into my life regularly I used McHargs exclusion method to look at my daily and weekly routines and see when I had time to exercise. 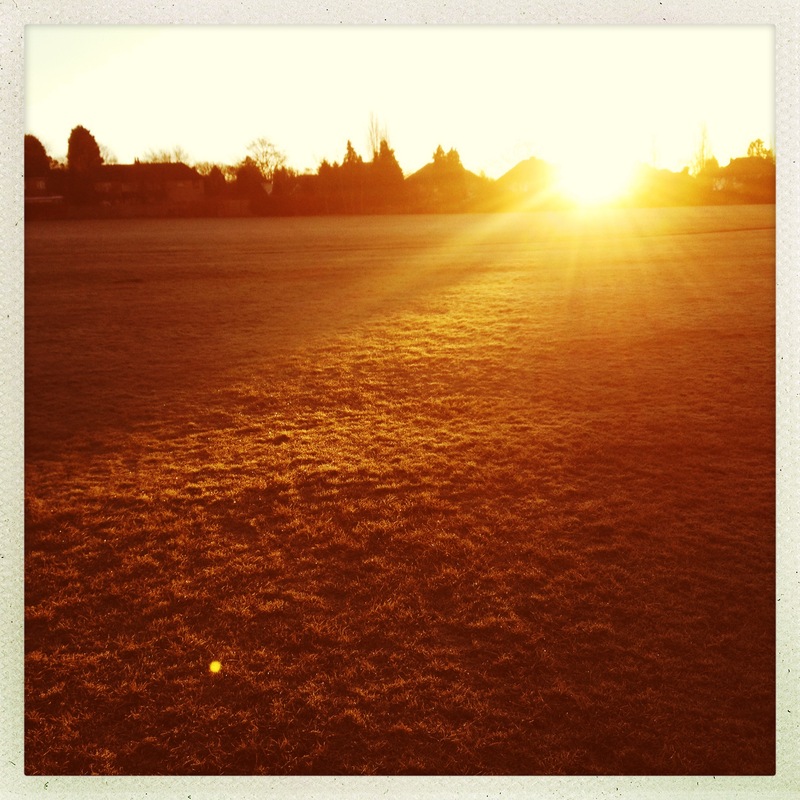 I found out that most of my available time was early mornings or evenings once the children were in bed. Weekends were also more flexible as my husband is around to help with the children. These times are marked with a ‘P’ for ‘Possible’ on the above planner. I then created an overlay looking at possible activities that could work well at the available times of day. 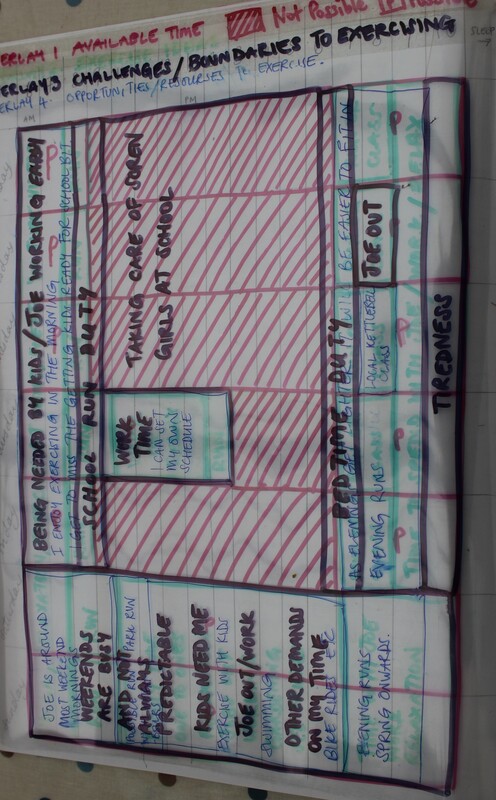 I then created a third overlay looking at possible boundaries or challenges to taking on activity at these times. This helped me to be more realistic about what I could fit in as well as planning ways to overcome barriers I may come up against. Finally I used this planner to set myself a realistic weekly plan incorporating up to 10 miles of running per week in three slots, plus a kettlebell class, a yoga session and quality time with my children and husband. I used a yearly planner to keep track of key dates for when related activity happened or I planned to happen. I will keep on updating this throughout 2015. I created a new monthly planner at the beginning of 2015, looking at one Permaculture principle each month and planning related activity. Also on this planner I set myself one challenge each month; for example January’s challenge was to be Vegan and alcohol free all month. February’s challenge is to try out three new recipes each week. Next month, March, I will be trying out new forms of exercise. I will continue adding to this planner as the years rolls around. 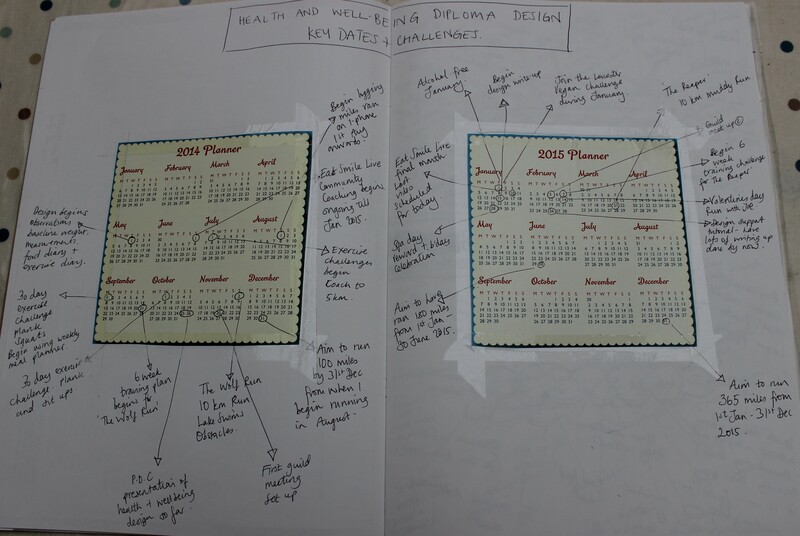 Not all challenges will relate to my health and wellbeing design, they will be tailored to fit with whatever diploma design is foremost in my mind at that time. I decided that this diploma project needed a number of designs, all based around a calendar. I have considered ways of joining up some of these designs to create an easy flow of ideas and sensible, time efficient planning. I needed to find a way to plan meals that fitted around our schedules. I needed to carefully plan to allow for quick and easy cook meals on busy days or plan in advance by batch cooking meals and filing the fridge or freezer. So it was important that the meal planner linked with my weekly family diary. 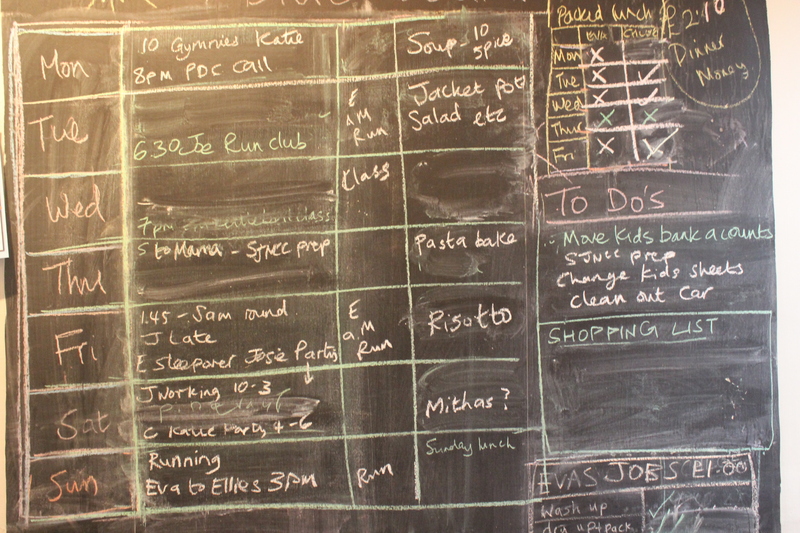 I decided to expand the blackboard in our kitchen where I map out plans for each week. This is updated every Sunday evening to ensure we are organised for the week ahead. 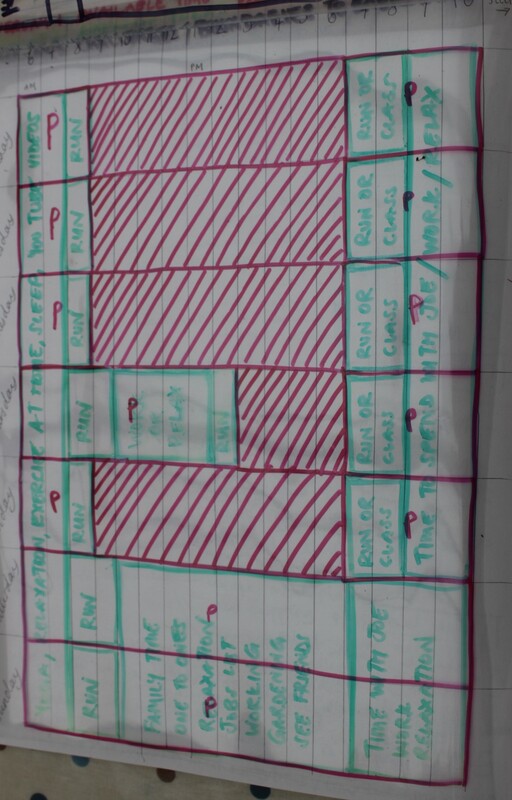 I added a ‘Dinner’ column to this wall planner and added a task of weekly meal planning to my sunday chores list. I now check what ingredients are required for the planned meals and update the shopping list on the blackboard accordingly. This list is then photographed on my i-phone and taken to the shops with me. 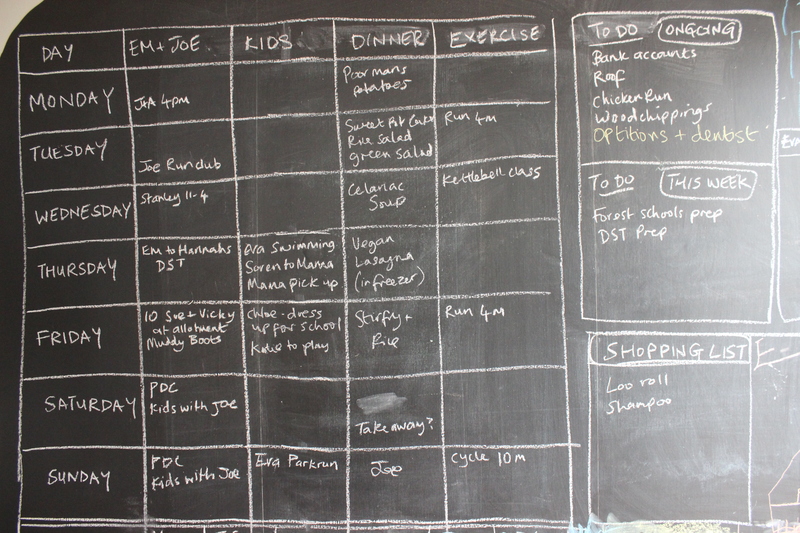 The blackboard also allows me to see which days I am most able to fit in exercise sessions. The activity I did detailed above that showed me the best times to exercise was very useful, exercise is now scheduled in early mornings or evenings or quiet parts of the weekend. 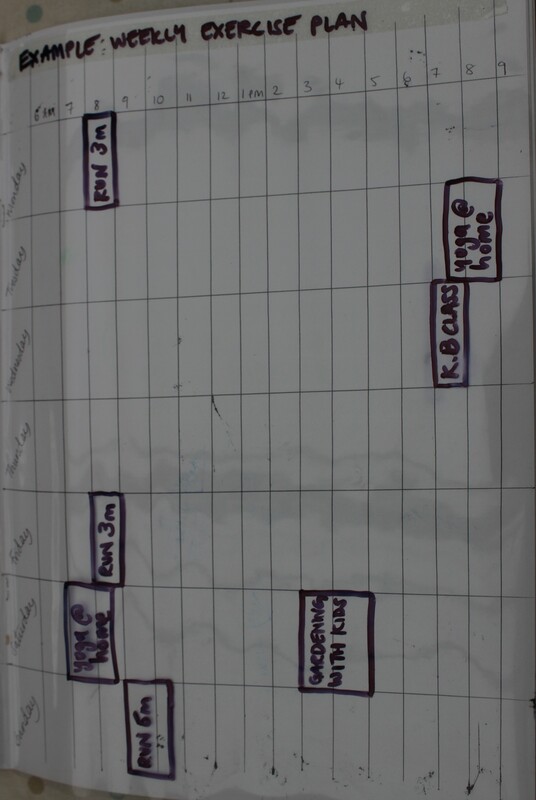 I added an ‘Exercise’ column to the blackboard and write in 3 runs, one class and 1 quiet/date/one to one time each week. I aim to stick to these commitments. Aim number 3. To continue expanding my knowledge of health and to set myself regular challenges Is more of an ongoing design. 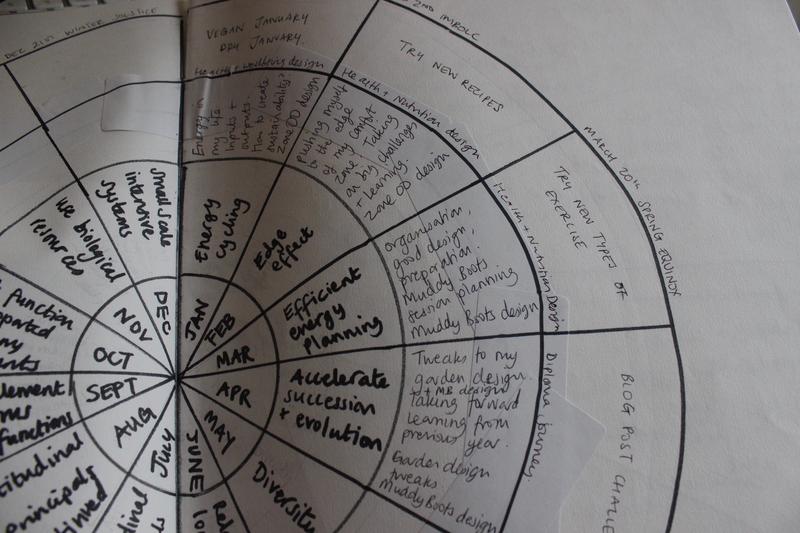 I am using the wheel of the year design photographed above and will keep on adding challenges to this as time goes on. This entry was posted in Uncategorized and tagged Adventures in whole foods, design process, Design proposal, exercise, Health, McHargs exclusion method, My diploma journey, My health and wellbeing design, Overlays, Permaculture, Permaculture Diploma, yearly planning by emilycrofton. Bookmark the permalink.